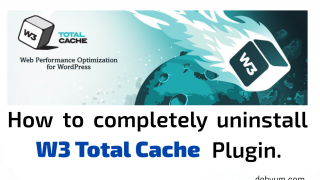 How to completely uninstall W3 Total Cache plugin. How to restrict access to website or directory by using .htaccess. Upgrade Openfire to latest version on linux.